Offer small, fun items in bulk vending machines that will entice guests and offer collectable prizes. Earn extra cash from candy and gum bulk vendors including gumballs, hard candies, chewy candies, and more. 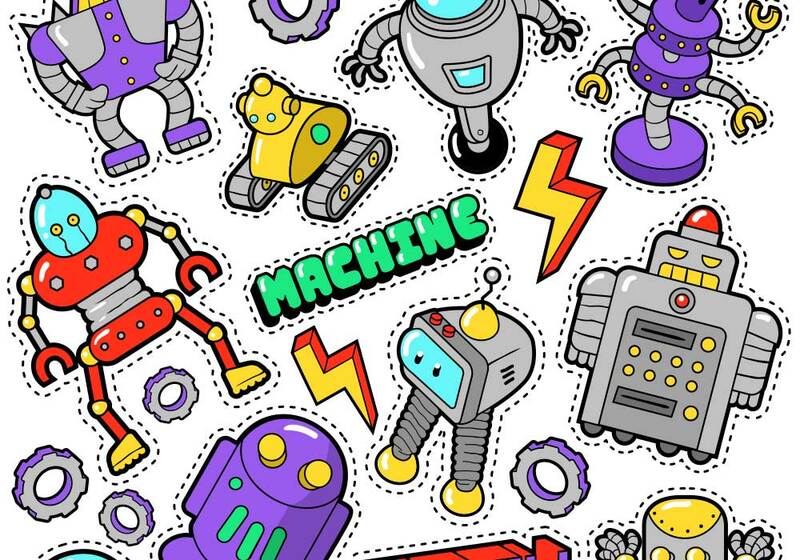 Entice guests with affordable, yet eye-catching stickers of popular characters in dedicated bulk vending machines. 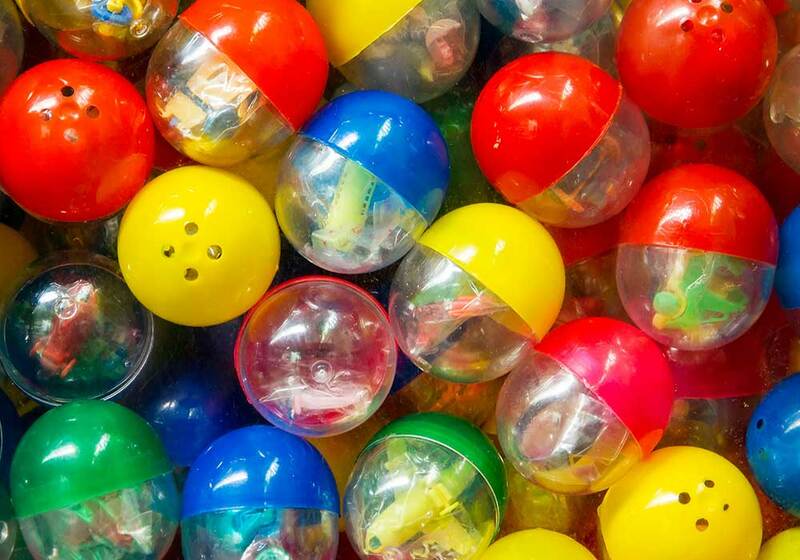 Dispense capsules of fun with bulk vending machines that deliver small toys, perfect for guests looking for prizes. UVM contracts for the hottest amusement games, bulk vending machines, rides, and more all provided from preferred service providers. Whether you want to offer customers a chance at a game or hold full pool tournaments, we can provide the right pool table program. Enjoy profits from fast-action air hockey tables without the maintenance thanks to service from UVM professional partners. Benefit from some extra income when you contract UVM to install and manage kiddie rides at your business. 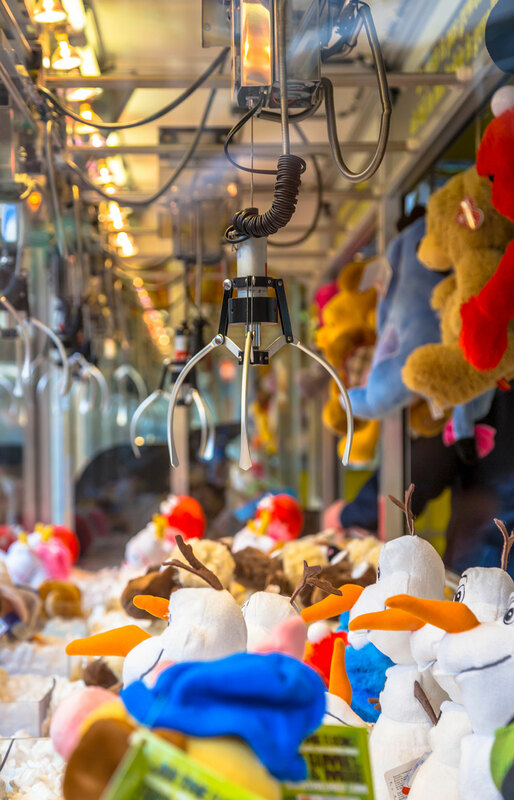 Pump up the fun at your business with games of skill and prizes using crane and claw machines from UVM partners. Entertain guests and make your business memorable with a range of different arcade games that net you commissions. Provide action/adventure games, shooting games, simulator games, and more to customers looking for an extra thrill.